Continuing a 5-year tradition, Divi Resorts’ Aruban destinations are once again sponsoring the ever-popular 2018 Soul Beach Music Festival taking place May 23-29. Voted one of the “Top Five Caribbean Celebrations by USA TODAY,” as well as the #1 “Caribbean Summer Festival” by Jetsetter Magazine, you do not want to miss this exhilarating event! Enjoy a fun-filled Memorial Day weekend on the beautiful island of Aruba with world-class R & B artists and comedians, lively beach parties and exciting events throughout the weekend. Last year’s festival was headlined by Usher, Mary J, Blige, Faith Evans, The Roots, and more! Just a short walk from Divi’s stunning Aruba properties – Divi Dutch Village Beach Resort, Divi Village Golf & Beach Resort and Divi Aruba Phoenix Beach Resort – this event it SELLS OUT FAST, so be sure to buy tickets and book your stay today to guarantee you’ll be there! Find more information and book your stay here: http://bit.ly/2hzJppC. 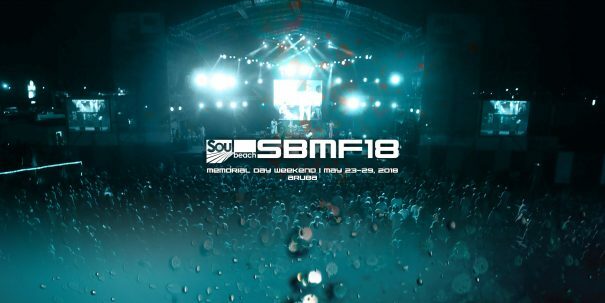 For more details on the event, visit the 2018 Aruba Soul Beach Music Festival online at www.soulbeach.net.